The smell of fresh sardines cooking on the barbecue, grilling or frying carries with it images of sultry hot summer days, the sea and sandy coasts of Britain and beyond, Mediterranean cafes, and the heady aroma of vibrant green herbs. I love how food can transport us in this way; it’s a powerful and wonderful kind of earthy magic, and to experience it you only have to close your eyes and inhale deeply that smoky scent as the sardines grill. I bet you can smell it even now as you read; the magic is working already. Sardines, which are young pilchards, have a lot going for them; their oily flesh is really flavoursome and moist and this oil makes them a very healthy fish to eat. They are rich in nutrients, containing one of the most concentrated forms of Omega 3 – which has been shown to help prevent heart disease – that you can eat. Tasty and good for you too, great! They’re also a cheap fish to buy and are fairly sustainable too. In my view their only downside is that they contain a lot of bones, which makes them fiddly to eat, but these can be removed; a quick Google tells me that, according to BBC Good Food, you can remove the heads and then twist out the backbone; James Martin’s method is to gently press along the side of the fish (presumably to loosen the spine and bones) and then slide your fingers under the backbone and pull it out in one piece taking most of the bones with it, and Gordon Ramsay suggests simply using them filleted, assuring us that any small bones left will disintegrate as the fillets cook. Any good fishmonger will happily scale and gut the fish for you but it’s very easy to do yourself if you don’t mind the gore. A fish scaler doesn’t cost much and is handy to have, but the scales come off fairly easily if you brush them under cold running water. To gut the fish simply take a small, sharp knife or a pair of kitchen scissors and slit their bellies then pull out the guts and then clean the fish well in cold water. I don’t mind admitting that the first few times I had to gut fish I was squeamish and I still don’t find it a particularly pleasant task, but I want to learn about the realities of food preparation and how the food on my plate has come to be and I want to be able to take as much part in that preparation as I can. I believe that understanding my food, warts and all, helps me to grow as a cook and makes me a better cook for it. All fish, but sardines in particular, should be eaten very fresh – look out for bright, rather than cloudy, eyes, firm flesh with shiny skin and vibrant gills, and a smell of the sea rather than a fishy smell. When I cooked these little beauties the other day I simply rubbed them with olive oil and herbs, squeezed over a little lemon juice, and teamed them with basmati and wild rice. I really like this combination of the aromatic basmati flecked with the woodsy and earthy wild rice and it was great with the herb and lemon laced sardines. To cook the rice first rinse it under cold running water until it runs clear, to remove excess starch, then add it to a large pan of boiling water and cook it for 8-10 minutes, until al dente. Drain it straight away and leave it for a few minutes before serving. 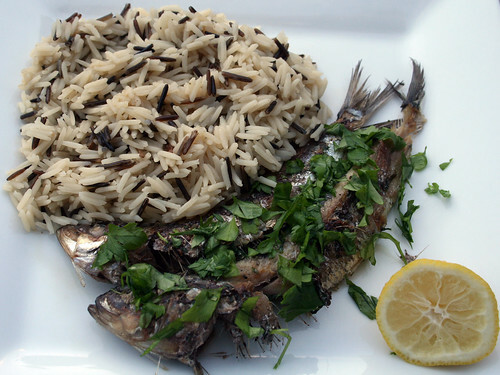 While the rice is cooking bring rub the sardines with olive oil and herbs and season the skin well with salt and pepper; the salt will help the skin to crisp up nicely. You can cook the sardines on the barbecue, in a griddle or standard, non-stick, pan or even grill them. Whichever way you choose make sure the heat is high, and if you use the barbecue you may want to place some foil over the bars to prevent the sardines from sticking to them. The sardines will take about 3 or 4 mins each side, less if they are very small. Once the sardines are cooked sprinkle over some more herbs and a squeeze of lemon. Serve with the rice. lovely summer recipe. You are right about getting your hands dirty when it comes to preparing food. Food hidden behind plastic wrap seems disrespecful and untruthful to me. I had sardines at lunch but would never think of serving them with rice. Here sardines are eaten over a slice of bread with a side salad and some people like to, also, eat potatos that are boiled with the skin. There are some parts of our country, mostly in the North where they eat sardines in that lemon and sprinkled fashion. 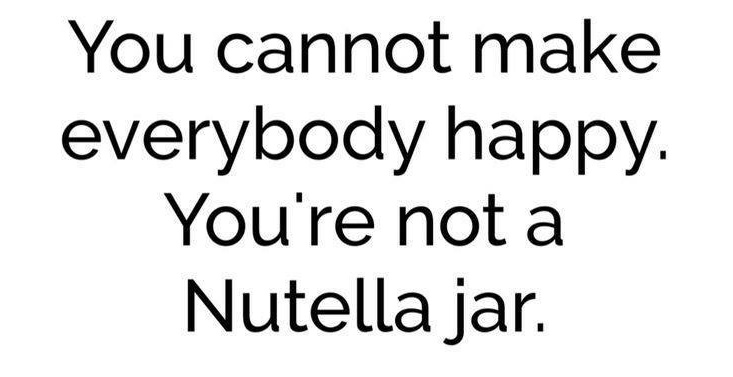 Never tried though. I think I can manage to eat sardines now but I hated them as a child. My father used to feed me the tinned variety and use emotional blackmail that the fish had died for nothing if I didn’t eat it!! Fresh is definitely best and I love rice with fish. I tend to cheat and get the fishmonger to fillet them for me, then fry off quickly just like you have done. Instead of lemon juice, I sometimes add a bit of balsamic vinegar to the pan for the last few seconds, which (like the acid in the lemon) seems to reduce the oily taste from the fish. In fact, this works for any oily fish or eat them with good spelt or rye bread.